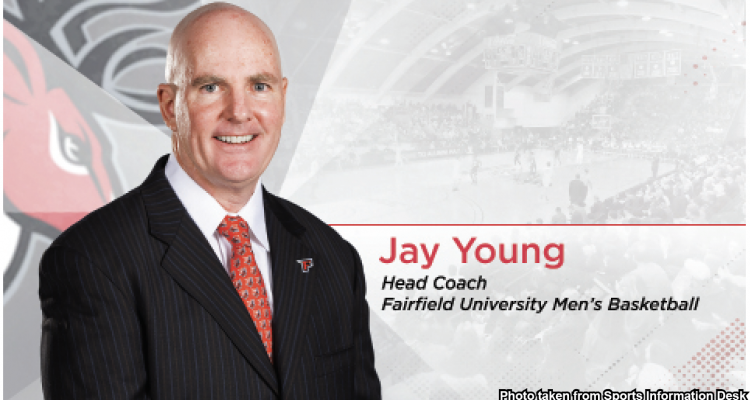 On Weds., April 3 Jay Young was named the 13th head coach of the Fairfield University men’s basketball program. After careful consideration, the respected veteran within college basketball stood out to both President Mark R. Nemec, Ph.D., and Athletic Director Paul Schlickmann. Young most recently served as an assistant coach at Rutgers University. During his three year tenure, 2016-2019, at the Big Ten school, he was an integral factor in the Scarlet Knights’ success in the 2018-2019 season, when they completed their best-ever Big Ten finish. Before Rutgers, Young was the Associate Head Coach at Stony Brook University, 2005-2016, on Long Island. Under Young’s leadership, Stony Brook made it to the NCAA postseason in 2016 for the first time in Division 1 history. With Young at the helm of the University of New Haven from 2000-2005, the Chargers went 78-66. Four consecutive winning seasons, following an eight year stretch with just a single winning season was nothing short of a miracle. His decorated career of over 30 years includes experience on all levels of collegiate basketball, and his reputation for re-establishing struggling teams is outstanding. 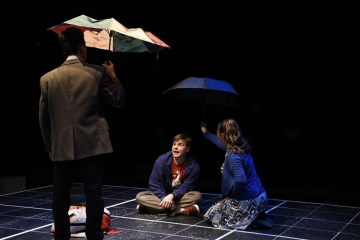 As a Jesuit institution, Fairfield employs the values that the Society of Jesus holds in our campus community. Young hopes to reinforce such values in a way that translates inclusively and seamlessly to the game of basketball, and draws parallels between the two. “The development of ‘Mind, Body, Spirit’, that’s really coaching. ‘Men and Women for Others’, that’s teamwork.” He is familiar with religious education, as he attended Catholic schools all his life, therefore it is an important part of who he is and how he coaches. Coach described his adjustment to the position as hectic, but he radiated excitement and enthusiasm. He detailed advice he was given by fellow sports professionals who went through similar circumstances, but added that nothing could truly prepare him for the experience that he had undertaken. Beyond the court, Young expressed the genuine desire to be an active member of the community and of our campus. The feelings are certainly mutual, as Fairfield has full faith in Coach Young’s leadership. He prioritizes the fans, crediting them in part for his thirst to be successful. “I want us to play hard, I want us to compete and I want us to be a team where when you go to watch a game, whether we win or lose, you’ll be proud of the effort that we’re putting on the floor… When they spend money on a ticket, they will get their money’s worth every single night”. Young will take the court for the first time next fall, and promises stags to put on a dignified performance.